Dramatically divided by the Danube, and reconnected by a series of elegant bridges, Buda and Pest are distinctly different. 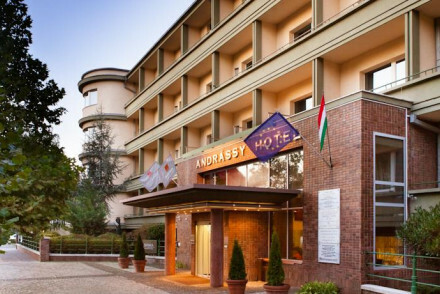 Most of the best places to stay in Budapest are located in Pest, the city proper, but as no first time visitor should miss Buda’s atmospheric Castle Hill district across the Chain Bridge, a hotel close to the great fast-flowing river is ideal for sightseeing. It’s not imperative, however, as Budapest is a compact, tranquil city with an extremely efficient transport system - don’t miss a trip on the charming yellow line along Andrassy to Hero Square. You’ll probably end up walking anyway: it’s the best way of catching the many fine Art Nouveau façades, hidden courtyards, enticing coffee houses and highly diverting Turkish baths along the way. Best of all for visitors, most hotels in Budapest represent incredibly good value. You’ll notice that many on the following list fall into our ‘inexpensive’ category; in other cities, they would be ‘moderate’ or even ‘luxury’. The best places to stay in Budapest are all sophisticated. Many are located in stunning old buildings which have been tastefully restored and are now equipped with every modern convenience imaginable. Budapest’s historic centre, where you’ll find the former Royal Palace, the Matthias Church and the National Gallery, is Castle Hill. It’s definitely one of our Guru’s recommendations for the best places to stay in Budapest, especially if you’re looking for charm, cobbled alleyways and atmosphere, and proximity to the main sights. 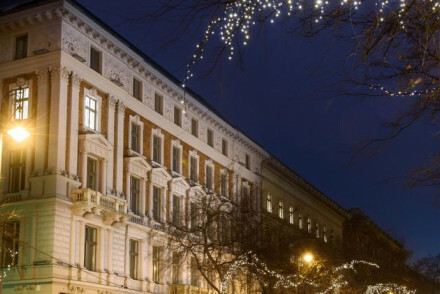 However many of the best hotels and restaurants are located in District V, or Downtown, which is on the Pest side of the Danube, and is also where you’ll find the boutique haven Vörösmarty Square, the Parliament building, and Vörösmarty Square with St Stephen’s Basilica. 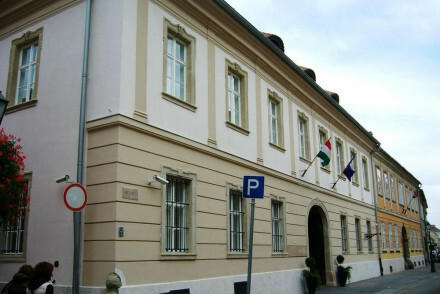 Terézváros is the next district across, number VI, and has the city’s main road, the Great Boulevard, and UNESCO listed Andrássy Avenue, running through it between Heroes’ Square and the City Park. 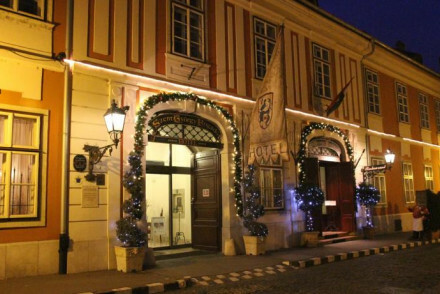 District VII is Erzsébetváros, or Elizabeth Town, now a trendy nightspot, but once favoured by craftsmen and artists, and District VIII, Józsefváros, or Joseph Town, has the National Museum and the peaceful and grand Kerepesi Cemetery. Whilst the city as a whole is an architectural delight, the Parliament building is an absolute must visit. Inspired by the British Houses of Parliament, this grandiose neo-Gothic structure, set on the banks of the Danube, is utterly stunning inside and out. Reminiscent of something from a Disney film, with turrets and pointed towers, Fisherman's Bastion is a lovely spot to visit - and you can also take in stunning views of the city from its hilltop location. For more architectural beauty, pass by St Stephen's Basilica, a 19th century parish church with a 3,500 foot neo-Renaissance dome. You'll definitely love spending a few hours at the Chocolate Museum! Make your own or simply taste their wide variety on offer, dipping marzipan balls into chocolate fountains as you wander around learning about the chocolatier's process. If you fancy a fun-filled family day out then head to the Budapest Zoo & Botanical Gardens, one of Europe's oldest zoos! The Corvinus provides 5* luxury on the Pest side of the city. Its romantic accommodation offers large and elegant rooms, whilst there are several dining options to choose from as well as a spa and an indoor pool. 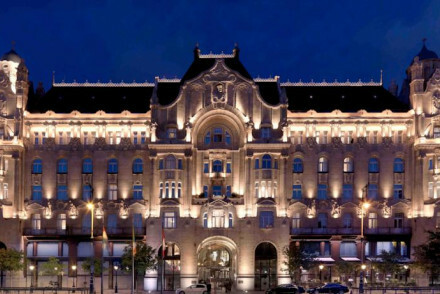 The Aria Hotel is an opulent, Neoclassical, five star hotel on the Pest side of the Danube in Central Budapest. Expect 42 musical themed rooms filled with art and a rooftop terrace with views that really open up the city to you. Just 100metres from St. Stephen’s Basilica. The landmark and art nouveau Four Seasons Gresham Palace has some of the best views in town, plus beautifully decorated rooms as well as everything you would expect from the Four Seasons brand. Unbeatable location overlooking the river opposite the Chain Bridge. 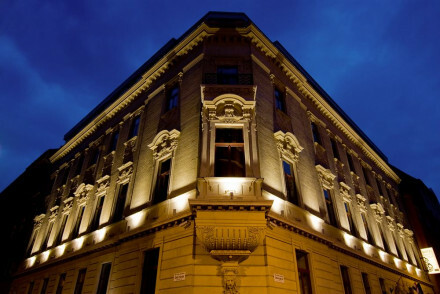 The Buda Castle Fashion Hotel offers chic large rooms with high ceilings and contemporary furnishings. Set in a beautifully renovated 15th Century building, it's also well located to see all that the city has to offer. 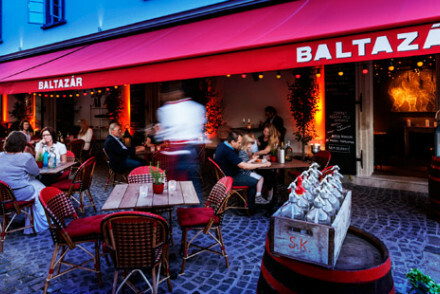 If you fancy something a little different then consider the Baltazar Hotel, where you'll find atmospheric rooms based on artist themes, plus an excellent restaurant serving splendid Hungarian street food. Stylish and romantic. The St George Residence, occupying a 700-year old building, offers wonderfully classical accommodation with period furniture and artwork. The restaurant is incredibly atmospheric, too. Located in the heart of Budapest, the Grand Hotel Moments cleverly mixes lovely architecture, colourful contemporary furnishings and designer headboards. 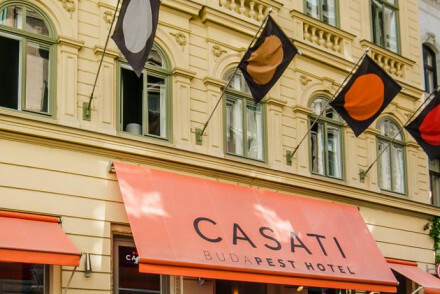 The Casati Hotel is 25 room contemporary boutique hotel and an artsy oasis for adults. The rooms have four unique styles: Heaven, Natural, Classic and Cool and guests are welcomed with a complimentary cocktail and can enjoy late breakfasts in the romantic courtyard atrium. Come to Brody House to rub shoulders with creative types - it's reputedly the coolest hotel address in the city. Budapest's answer to Soho House. 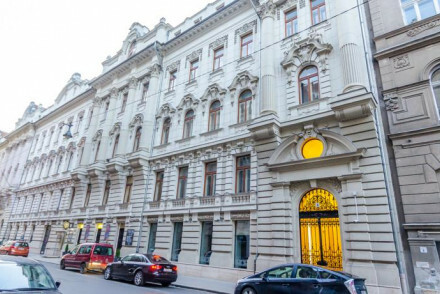 The contemporary Palazzo Zichy sits in the shell of a fine 19th century mansion and boasts cool, clean interiors. Situated in the university district, there are plenty of interesting bars and clubs close by. Another luxury big chain name, Sofitel Budapest Chain Bridge Hotel enjoys a similarly excellent location. Elegant modern interiors and great facilities if you're travelling for business rather than pleasure. The grand Prestige Hotel boasts elegant accommodation with plush fabrics and opulent furnishings. Centrally situated and with a Michelin-starred restaurant, a spa and a jacuzzi, it's bound to please. 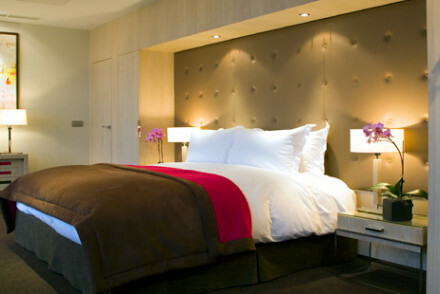 Boutique Hotel Zara is a stylish modern hotel in the middle of the pedestrianised centre of town. 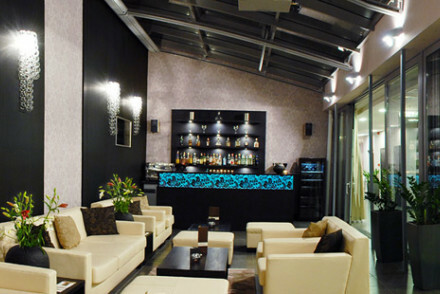 Provides sleek black decor and minimalist style just a stone's throw from the Danube. Magazine Hotel is a chic property modelled after urban life magazines; their white rooms contrast with pop colour furnishings for a lovely effect. Rooms from €77 right in the centre of town - what's not to love? 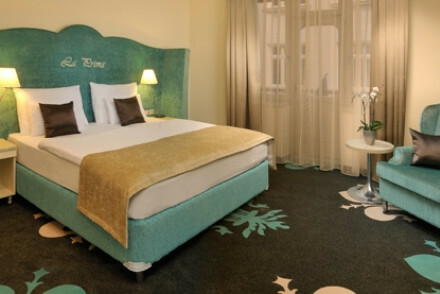 Hotel Rum, set in a gorgeous classical building, offers chic and colourful boutique rooms. This hip property also offers a fine dining Southeast Asian restaurant. Hotel President's rooms vary drastically in style, from kitsch Art Deco to more grandiose options. Marvel at the panoramic views from the roof terrace and come back after a day out sightseeing to relax in the spa. 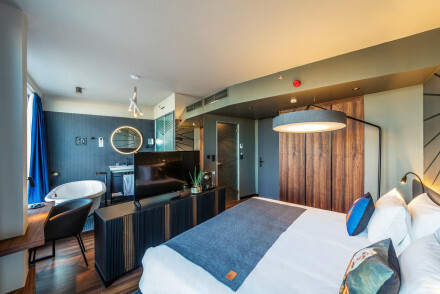 Mamaison Andrassy Hotel features Bauhaus style interiors with sleek modern bedrooms. Simple and smart, there's also a lovely Art Deco restaurant. Hotel Parlament is a boutique stay boasting cosy, art deco rooms behind a traditional facade. Offering jacuzzis and a buffet breakfast, it's a top-notch city stay. Buddha Bar is a sultry spot with Chinese themed rooms decorated in reds and also featuring hot tubs. There's also a spa and Asian Fusion themed cuisine. With just five rooms, the intimate House Beletage offers understated class - the whitewashed rooms are both comfortable and tasteful. Well-located and good value. For those who're a bit strapped for cash, there's no need to sacrifice the style either! 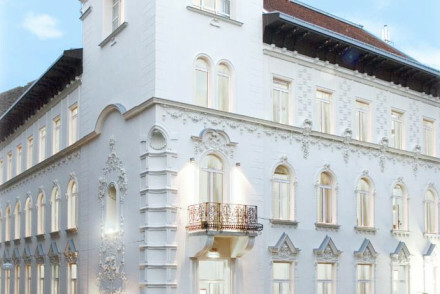 At the designer hotel Lanchid 19, doubles can be had for as little as €63 per night. Gerloczy Rooms de Lux is an incredibly charming spot, offering fin-de-siecle styled rooms (with a free minibar restocked every day!) from just €69 a night. Well-located for seeing the sights. 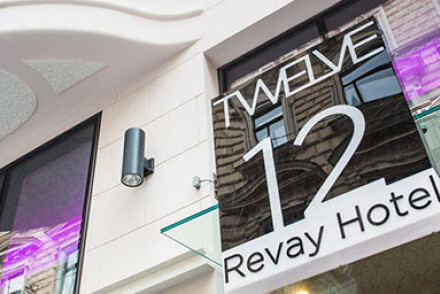 The sleek 12 Revay is a contemporary stay located in the city centre. Boasting smart contemporary accommodation from €73 and with fantastic terrace views, it's a top all round spot. 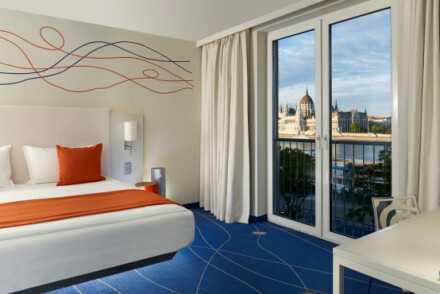 Art'Otel, Budapest offers modern accommodation by the riverfront. Family suites are available, whilst there's also a gym, spa and restaurant - ideal for family getaways. 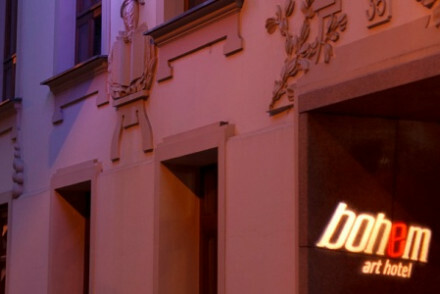 The family-friendly Bohem Art Hotel is another contemporary stay, combining sleek lines with modern artwork on the walls. You'll love their champagne buffet breakfasts (!) as well as happy hours where you can order free coffee and snacks. 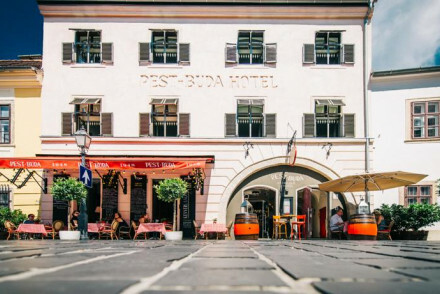 Pest-Buda is a lovely stay, with a range of accommodation (including family rooms) featuring exposed wooden beams, chic furnishings and tasteful bathrooms. There's also a great Hungarian bistro. Set in a wonderfully traditional property, Anabelle B&B boasts five smart boutique rooms - with triples and quadruples available. You can also book to stay in their self-catering penthouse. If you'd prefer a self catering option then check out the wide range on offer with our online partner, Booking.com. Best time to visit - Come during the surrmer months the average daily temperature climbs to 21°C in July and August. However this is peak tourist season so the city will be busy and accommodation more expensive. Prefer it when the streets are quieter and the rooms cheaper? Then come in the shoulder seasons, from March to May or September to November. Fly into Budapest Airport, 16km southeast of the city centre. From the airport, take the bus and then the metro to get to the city centre. Still Not Sure Which To Book? Browse our list of the best places to stay in Budapest and start to plan your stay. Widen the net and search through our list of the best places to stay in Morahalom or Koveskal. An historic grand dame which oozes luxury and class. Elegant interiors are a stylish blend of original features complemented with state of the art facilities. The Royal Spa is stunning, plus you'll find various dining options and an atmospheric bar. The perfect property for a luxurious city break. Spa - The Royal Spa is huge and is available free if you book a deluxe room or above. Local markets - There are lots of open air markets to browse throughout the city. A modern hotel with minimalist black interiors. Just a stone's throw away from the Danube and cultural attractions - makes for a slick cosmopolitan break. A designer chic hotel in a winning location on the river front. Fabulous views from the banks of Buda over the Danube towards Pest. Rooms and suites have floor to ceiling windows and all the mod cons. Funky contemporary spaces make up the restaurant, bar and living areas. Extensive spa too. Roof terrace - Superb roof terrace with views over the river. Views - Fantastic views over the Danube towards Pest. A true gem in Budapest. A really charming yellow painted building with a popular café and restaurant. Freshly redecorated bedrooms with a fin-de-siècle feel, some with balconies overlooking the square. An utterly charming spot. 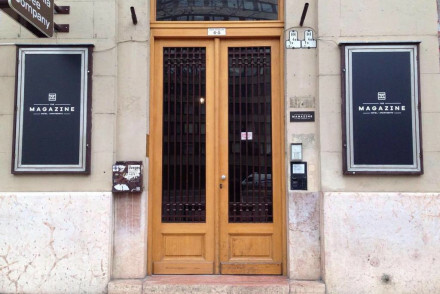 A hip, intimate base in downtown Budapest. Probably the coolest place to stay in the city - think a Soho House for creative types. Regular art and music events, attended by a lively crowd. Uniquely designed rooms and private apartments - parquet floors and modern art. A sleek modern hotel with fantastic city views from its terrace. In an unrivalled location offering comfortable, chic and contemporary rooms in the centre of the city. A delicious fresh breakfast is served every morning and the lobby bar is open 24/7. A good place to be when in Budapest. Local exploring - Superb location with all important sights within walking distance, close to the Chain Bridge connecting you to the other side. City Style - This sleek hotel offers modern facilities in rooms, a kitchenette in the apartments, a 24 hr bar and wonderful city views. Sights nearby - The Hungarian National Opera and Saint Stephen Basilica are moments away from the hotel. Local markets - In a great location with local shops and designer stores close by. A chic and sophisticated design hotel inspired by urban life magazines, offering 12 rooms and 4 apartments. Rooms have good views of the Basilica and the busy Square. In a convenient location close by to restaurants and nightlife. Ideal for a party weekend and business or leisure trip. City Style - Chic contemporary apartments with interiors inspired by the colorful and exciting world of magazines and fashion. Local markets - Right next to Vorosmarty Ter and Vaci Utca, the pedestrian shopping areas. 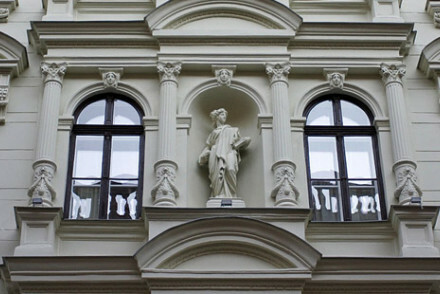 Sights nearby - A stones throw away from St. Stephens Basilica and State Opera House. A large modern hotel with designs that range from kitsch Art-deco to spectacular grandeur - the presidential suite has panoramic views of the city and the roof terrace restaurant is magnificent. A hotel for all occasions. 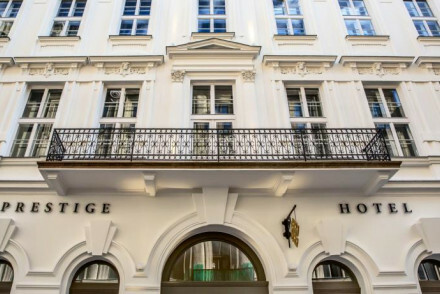 Brimming with the class and style of Budapest's imperial past, House Beletage is a delightful hotel in the heart of the city. With comfortable, elegant rooms and an enviable location in the Palace district, it's the perfect place for a romantic city break to Hungary's capital. Local markets - Browse the local markets of Budapest including one that is less than two minutes walk from the hotel. Sights nearby - Visit the nearby St. Stephen's Basilica. A sleek contemporary hotel on the riverfront with fantastic views towards Pest. Large modern rooms and family suites with clean lines and all the mod cons. Good restaurant serving local cuisine, fitness and spa facilities. Excellent value, stylish, family friendly. Views - Fantastic river views. Sights nearby - Buda Castle, Matthias Church, Fisherman's Bastion and the Hungarian National Gallery. Chic interiors, statement furnishings and great lighting adds a touch of glamour. In the heart of the city, this boutique hotel compliments Budapest's ancient architecture with a unique design element. Super hip and stylish with an opulent fine dining restaurant. A good four star option for a business traveller or a family on a budget. Contemporary rooms with splashes of green and all the mod cons. Excellent meeting facilities and a good restaurant. A real work of art, this ultra cool hotel boasts unique wall paintings in each room, modern facilities and great comfort. Superb location, minutes away from everything you need. Every item has been well thought of. Inspiringly creative. In a 700-year-old building, one of the oldest hotels of Budapest. Decorated in period furniture and ancient artworks, spacious suites offer modern comfort. Some come with private jacuzzis as well. Chic, affordable luxury with an old-world charm. 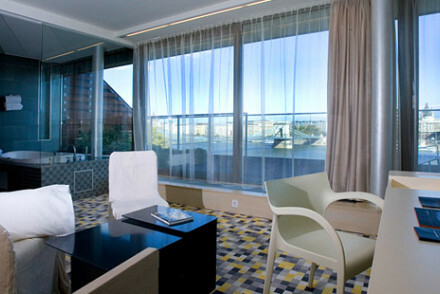 A contemporary hotel on the Pest side of the Danube. A traditional facade hides strikingly modern interiors. Rooms, suites and family rooms combine sleek lines, modern art, and all the mod cons. Lively bar and restaurant and good meeting facilities. 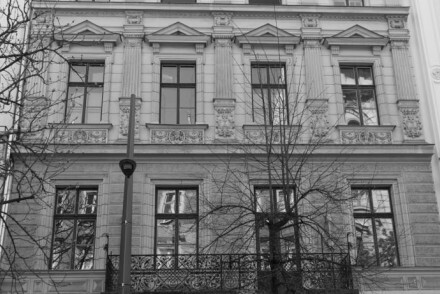 Sights nearby - In the historical downtown area, just 50 metres from both Váci street and the banks of the Danube. A boutique hotel with art deco style interiors and tasteful pieces of art. Comfortable and cozy rooms. A lavish buffet breakfast, a lounge bar, high speed internet and a jacuzzi bring it to top of the list. Enhance your time by staying at this chic designer hotel. Built in 1696; renovated into a contemporary hotel with a highly recommended restaurant in the heart of the Castle district. Choice of four types of accommodations suited for leisure or business travellers, couples or families. A comfortable choice to explore the city. Pets are welcome too! City Style - Luxurious rooms with all modern amenities, oversized walk-in showers - some with freestanding bathtubs. A little gem of a hotel located in an exclusive Embassy neighborhood just off Andrássy Avenue. Uniquely designed in Bauhaus style. Sleek contemporary bedrooms with floor to ceiling windows. Art Deco style restaurant with summer terrace and extensive gym and business facilities. An ideal city base. City Style - A chic boutique hotel housed in an elegant Bauhaus style building, in the UNESCO Heritage site of Andrássy Avenue. Sights nearby - Marvel at the Vajdahhunyad Castle by City Park, just minutes from the hotel. Grand hotel, slap bang in the heart of historic Budapest. Beautiful architecture and works of art with contemporary amenities. An on site restaurant and bar. It's 4 star hotel providing a luxurious stay at good price. A complimentary buffet breakfast completes the package. A hip hotel in the heart of the city with gourmet dining and a buzzing roof terrace. Expect some original period details but an overall contemporary style with an industrial edge, featuring rust colours and black iron. Quirky rooms have bold colours and statement pieces- a sophisticated choice! 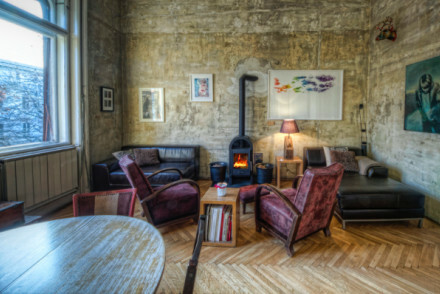 A retro boutique hotel on the Buda side of the river. Rooms and suites based on artist themes, from Vermeer to Keith Haring, have all the mod cons and sultry lit spaces. Fantastic Budapest themed street food in the restaurant and a great wine selection. Very trendy. Excellent location, elegant rooms. An understated B&B with contemporary design and a self-catering penthouse, making it great for families. 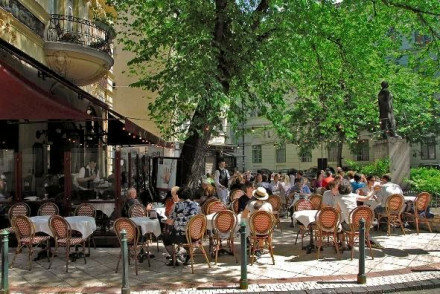 Several restaurants and bistros on your doorstep as well as being under a kilometre from many of Budapest's top sights. A no brainer. Excellent contemporary base in a fine old building. Sleek modern interiors offer comfort and all the necessary high-techery for a business trip. Lovely glass-roofed breakfast room, fitness centre, and meeting rooms. A stylish choice in the city centre. Local markets - Check out the historic and beautful Central Market Hall, a restored neogothic hall for traders of all types. 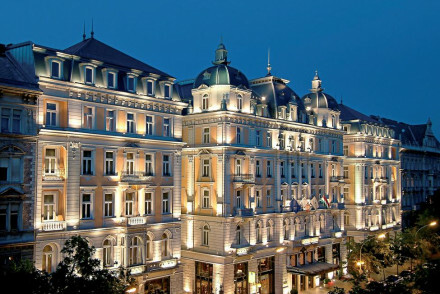 Five Star luxury on the Pest side of the Danube. Romantic rooms and suites are enormous with elegant furnishings and all the mod cons. Fantastic mix of restaurants and bars, excellent spa, and designer chic living areas. A choice for the luxury traveller. An expectedly sultry hotel on the Pest side of the river. In typical Budha bar style, rooms and suites are clad in Chinese red with all the mod cons and hot tubs. Extensive spa and beauty salon, charming restaurant and terrace, and, despite all this, family friendly too. An artsy oasis for adults. This contemporary boutique hotel has rooms decorated in four unique styles, each evoking a different mood – Heaven, Natural, Classic and Cool. Guests are welcomed with a complimentary cocktail and can enjoy a late buffet breakfast in the romantic courtyard atrium. 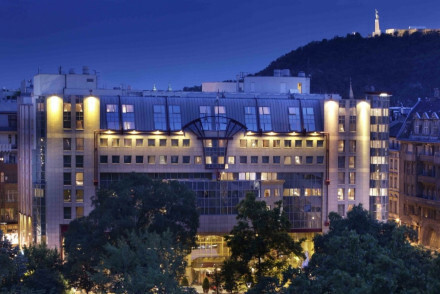 With glorious views over the river Danube, large contemporary interiors, and ample business facilities, the Sofitel is great for an understated cosmopolitan break or for corporate visitors. 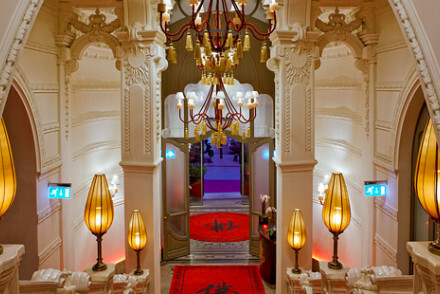 Grand palazzo style hotel with huge chandeliers and opulent furnishings. A Michelin star restaurant adds to the glamour. Plus there is a sauna and jacuzzi for resting weary walker's feet. Come here for complete relaxation after exploring this vibrant city. 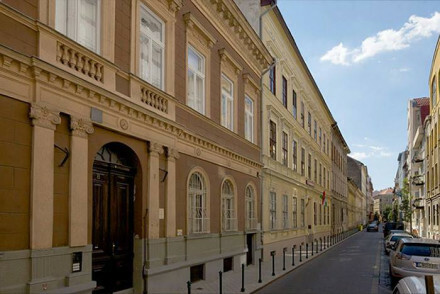 Chic, four star luxury in the historic centre of Buda offers large and elegant rooms. A 15th century building beautifully renovated with style and comfort. Exuberant interiors, an on-site bar and a scenic courtyard. A characterful spot for exploring the city. Contemporary and opulent 5* hotel in central Budapest. Neoclassical rooms are musically themed and filled with art. The rooftop offers sublime city views. Restaurant, bar, subterranean spa and indoor pool. A characterful city break. An Art Nouveau landmark in an unrivalled river setting, with panoramic views of the Danube and the hills of Buda. Beautifully decorated rooms in creams and whites with lots of natural light, some with private balconies, and all the mod cons. Spoiling facilities. Luxury at the heart of the city. Romantic Break - Luxurious suites oozing old world romance with vaulted ceilings, private balconies with views of the Old City and palatial beds. Spa breaks - Seven treatment rooms, including a couples' suite, a unisex sauna, separate steam rooms for men and women and a whirlpool. Lively - With a new 'trendier' restaurant Kollázs Brasserie & Bar, the hotel is attracting a younger and more lively crowd. City Style - Plush Art Nouveau hotel, complete with breathtaking glass domed ceiling, wraught iron gates and peacock motifs.